Reward great dance moves with our Spotlight Jazz Resin Plaque! 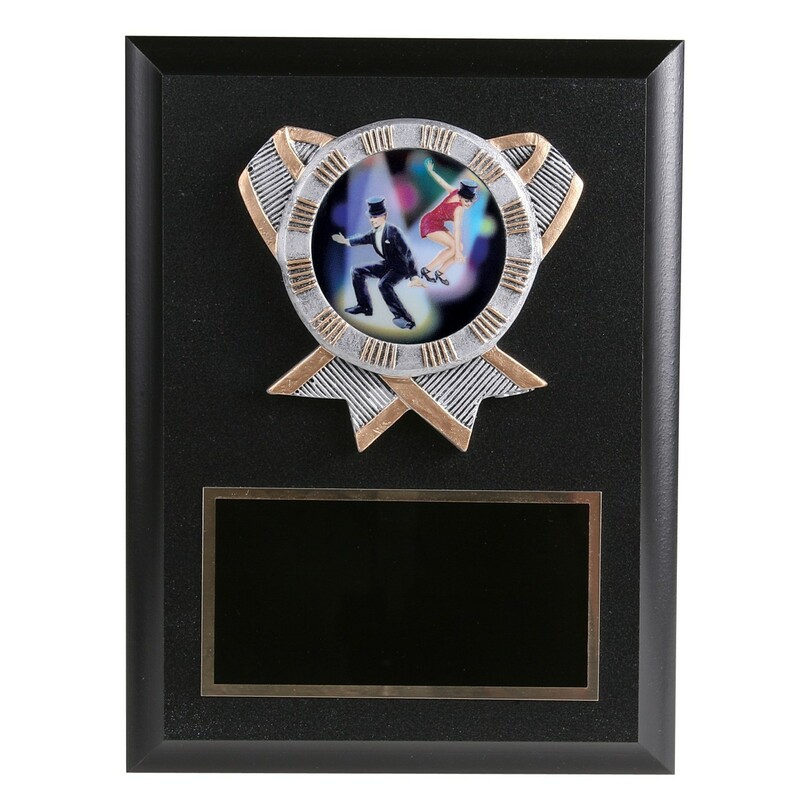 Measuring 8 inches tall by 6 inches wide, this simulated wood black plaque features a resin relief of crossing ribbons with pewter coloring and gold highlights. The center features the holographic image of jazz dancers in the spotlight. At the bottom of the plaque is a black brass plate engraved with gold letters.